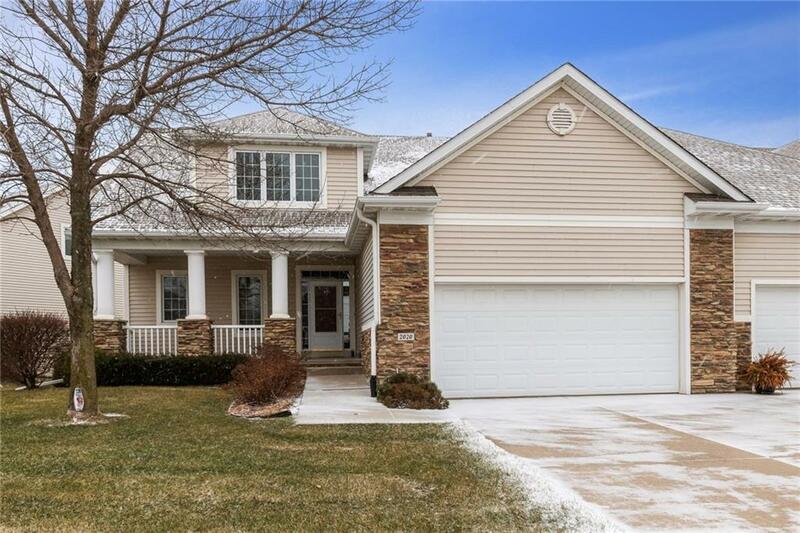 Get inside this beautifully maintained 1.5 story townhome located on a cul-de-sac in Copper Creek Golf Course. Youâll be in awe w/all the natural light, huge windows opening to sprawling views of the pond & floor to ceiling stone fireplace. Entertaining comes easy w/an open plan w/kitchen featuring brand new glass tile backsplash, tons of counter space, all appliances included & great food pantry. Youâll love the unique walk through galley way from garage entrance to front door! The great room opens to a cozy 3 seasons porch added by the owners located off the office/den. The main level master suite boasts dual sinks, corner jacuzzi tub, walk in closet & shower w/glass door! Two addit bedrooms & bath located on the second level. The finished walkout basement allows more room to entertain or hold gatherings w/the wet bar w/shelving & plenty of room to spread out. Additional upgrades include: home plumbed for central vac, radon mitigation system installed & plenty of storage space! HOA Name: Copper Creek Townhome Assoc.